Orange is launching the 2014 edition of the Orange African Social Venture Prize. A new category has been introduced for the fourth edition: the “Orange Partner” which award will recognize the best project that integrates an Orange application. The Orange African Social Venture Prize once again rewards entrepreneurs developing products or services that use ICT in an innovative way to meet the needs of Africans in fields such as health, agriculture, education, energy, industry or trade. Over the past three years, more than 1,500 projects have been submitted for the Orange African Social Venture Prize reflecting the dynamism of African entrepreneurs and the potential of the telecommunications sector. 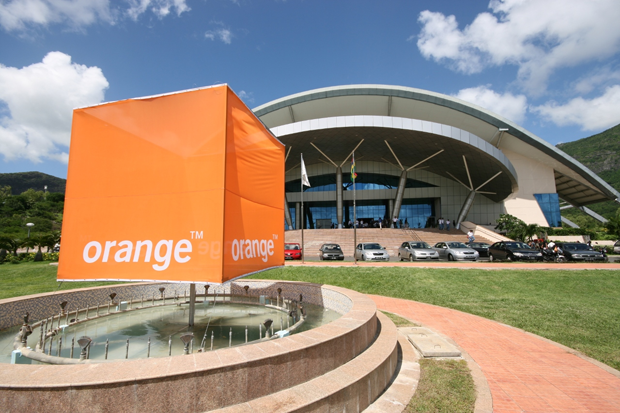 Operating in 18 countries in Africa, Orange serves close to 100 million customers. Given the impact that digital services can have on peoples’ daily lives, this presence means that the Group plays an important role in the continent’s economy and its future development. As a result, one of Orange’s main priorities is to improve connectivity, particularly in rural areas, and to introduce innovative mobile-based services. To achieve this, the Group supports entrepreneurs, small and middle-sized firms by facilitating access to finance, supporting structures for incubation and giving access to tools for digital development. Since 2010, Orange is a partner of the CTIC Dakar incubator, a reference in Western Africa in terms of ICT development. In April 2014, the CIPME Niger incubator, initiated by Orange, opened its doors to start-ups in the fields of ICT, renewable energy and the environment. The prize will recognize four projects: three projects with grants of 10,000 EUR, 15,000 EUR and 25,000 EUR, and a new special prize of 10,000 EUR will be awarded to the finalist who presents a project using an Orange API. In addition, the four winners will benefit from a six-month support package from entrepreneurship and ICT experts and, the first prize will be offered a patent submission in the country of the project’s deployment. Once again this year, internet users can vote online for their favorite project on Orange’s entertainment portal in Africa, http://www.starafrica.com. The winner of the “favorite project” will have its project submitted to the jury along with the others finalists shortlisted by the experts and will therefore have the maximum possible chance of being among the top four winners for 2014. Any entrepreneur (aged 21 or over) or legal entity that has been in existence for fewer than three years at the time of the competition may participate at no cost and with no restriction on nationality. Submitted projects must be designed to be deployed in at least one of the African countries in which Orange operates and must use information and communications technology in an innovative way to help improve the living conditions of the populations in these countries. Applications are accepted from 22 May to 19 September 2014 on Orange’s pan-African web portal.